BTS says it was "deeply touched" by South Korean president Moon Jae-in's message of support. 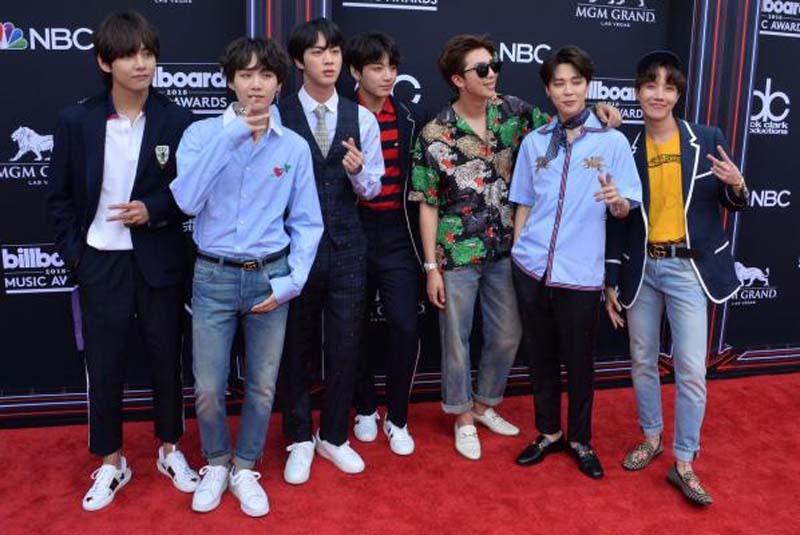 BTS responded Wednesday on Twitter after Moon congratulated the K-pop group on topping the Billboard 200. "We are deeply touched," the boy band wrote. "Wow! We can now fully believe after seeing it with our own eyes. President Moon Jae-in, we thank you for congratulating BTS on its No. 1 victory on Billboard." "We are very touched above all as [you] congratulated our Army," the group added, referencing its fan base. "We will make efforts to move more people's hearts going forward. Thank you very much." BTS' new album, Love Yourself: Tear, debuted at No. 1 on the Billboard 200 chart for the week ending June 2. Moon was among those to celebrate the achievement. "Congratulations to the Seven Music-loving Boys and Their Wings, 'ARMY'!" the president tweeted Monday. "The songs, dance, dreams and enthusiasm of BTS energized and gave strength to young people around the world." BTS is also celebrating its single "Fake Love" debuting at No. 10 on the Billboard Hot 100. BTS member Suga had voiced hopes in February of appearing on the chart for the first time.